Boy group THE BOYZ released another comeback teaser. On March 27, THE BOYZ (Sangyeon, Jacob, Younghoon, Hyunjae, Juyeon, Kevin, New, Q, Juhaknyeon, Hwall, Sunwoo, and Eric) released new teaser for their 2nd mini album ‘THE START’. 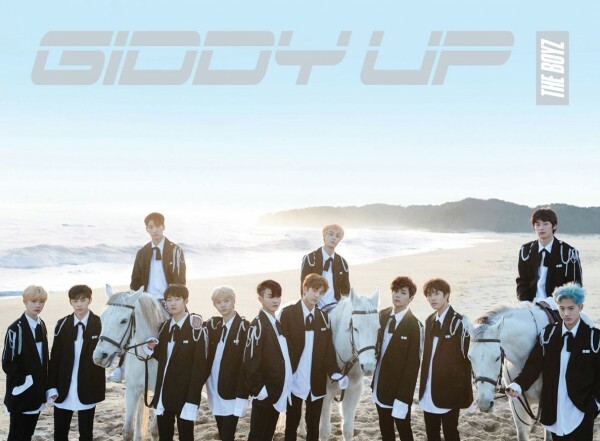 ‘THE START’ includes a total number of 6 songs, title ‘Giddy up’ is a funky pop music which shows the powerful side of THE BOYZ with member Sunwoo participate in the making of lyrics. Besides ‘Giddy Up’, ‘The start’, ‘Text me back’, ‘Back 2 U’ ‘Get it’ will also be included in the album, especially fan song ‘Just U’ in which all member participated in the making of lyrics. Meanwhile, 2nd mini album of THE BOYZ will be released on April 3 6pm (KST) through online site, they will also have a comeback showcase same day at 8pm(KST).